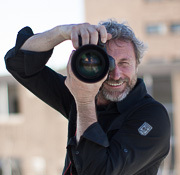 Marks passion for photography ranges from whale and wildlife photography to photographing people, events and places. For the last ten years Mark has dedicated many days out on the water photographing whales both above and below the surface. He has also traveled extensively both within and outside Australia pursuing his love of landscape and ocean photography. Mark’s intense dedication to developing and perfecting his photography techniques combined with his unique vision for capturing iconic moments drive his passion for photography in all areas. Mark’s photos have been featured in National Geographic, travel brochures, magazines, books and promotional material. He has done photography work for Tourism Australia, Tourism Dubai, African Wildlife Safaris, Fraser Coast Tourism and Flight Centre. His underwater photography was also featured in the annual exhibition of the London Zoological Society in 2014.